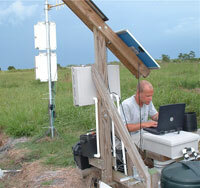 We maintain network of remote field data collection stations around SW Florida. Data from these stations get transferred to our office server by telemetry systems and then integrated to online databases. 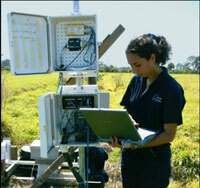 The data gets also collected by our program participants visiting the field sites on regular basis, fixing the instrumentation bugs and downloading data from CR dataloggers to laptops for backup and verification purposes. This assignment offers practical experience in developing, maintaining and testing low-cost telemetry system, while using off-the-shelf device technologies (spread-spectrum, cellular, etc.) and assisting with designing associated online databases and websites. Develop intelligent systems, designated to automatically notify about actual situation of the telemetry system. We do not expect you to be an experienced employee or professional. What we do require is that you possess strong wish to learn new things related to your future career and our projects.